With galleries such as Hauser & Wirth, White Cube and Sadie Coles in attendance, Frieze London is never lacking in big name artists and accordingly 2018 offered works by the likes of Tracey Emin, Julian Opie, Nick Cave and Marina Abramovic. Among the most notable names was a solo presentation of new and recent works by British artist David Shrigley with the Stephen Friedman Gallery. 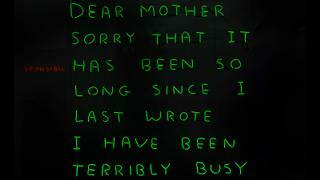 Famed for his distinctive drawing style and satirical observations of everyday life, at Frieze London these translated into a series of large-scale neon installations that proved both highly Instagrammable and highly covetable. 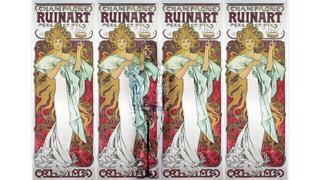 There has long been a synergy between art and Champagne – especially for Ruinart which chose Czech artist Alphonse Mucha for its first artist collaboration in 1896. At Frieze London the Champagne house exhibited a range of works with its 2018 Artist of the Year Liu Bolin who has become known internationally for his unusual method of painting himself into his works. Entitled Reveal the (In)Visible, the series sees Bolin camouflage himself and a number of workers at Ruinart’s Reims maison into photographs documenting the different stages of champagne production as well as historic artworks commissioned by Ruinart throughout the decades (pictured). 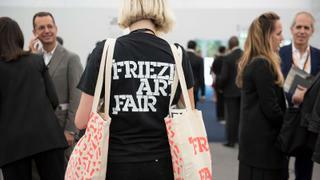 Open only to galleries 12 years or younger, Frieze London’s Focus section has become renowned for exhibiting the best and brightest of the young art scene from around the world. This year 33 galleries participated showcasing works by artists hailing from as disparate locations as Vienna, Cape Town, Mumbai and Hong Kong. 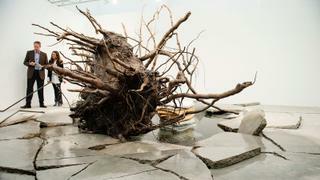 Among the highlights was a solo presentation by Union Pacific of works by Canadian artist Zadie Xa. Now based in London and having graduated from a masters at the Royal College of Art in 2014, Xa’s work interrogates her experiences with the Asian diaspora and the stereotyping and fantastical identities that are both forced upon and embraced by this community. Frieze London offered a vibrant and varied live programme featuring nine performances working with everything from movement and sound to physical transformation and digital components. As with many of the works on display at Frieze this year, the live installations also examined the issues most pressing and prominent in today’s society – feminism, racism, politics, the economy and the invasive presence of the digital world. The stand-out piece was Liz Glynn’s The Fear Index. 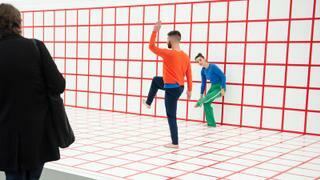 Performed on a stage created to look like a blank graph and based on interviews conducted with those working in the financial sector, dancers moved in response to real time data relating to sales, footfall and other data points recorded at the fair in an exploration of risk and volatility. 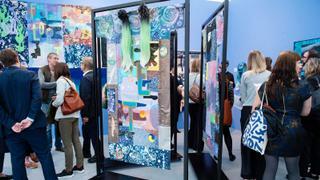 While Frieze London may steal most of the buzz there was plenty of note happening over at Frieze Masters. 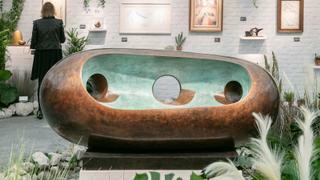 Boasting museum-grade works alongside those by names including Degas, Picasso, Man Ray and Howard Hodgkin, among the most exciting was a recreation of Barbara Hepworth’s sculpture garden at Tate St. Ives by Dickinson to celebrate the 25th anniversaries of the both the museum and the gallery. The key piece, was of course, Hepworth’s monumental bronze sculpture River Form.